I am afraid there is no easy method for that. 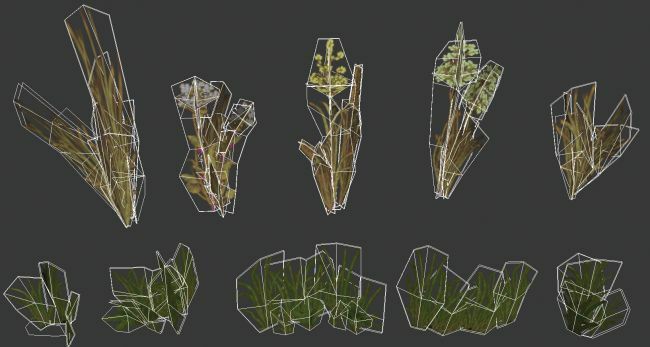 Your vegetation is a real and detailed 3D model while the example below uses the efficient billboard technique - each model consists of several polygons textured by semi-transparent images / photos. Because both approaches are really different, you cannot simply get the second one by reducing the mesh detail or any other automatic method. If you want to use your 3D vegetation to create a billboard one, you can render you 3D vegetation from different angles to png textures (with the transparency). 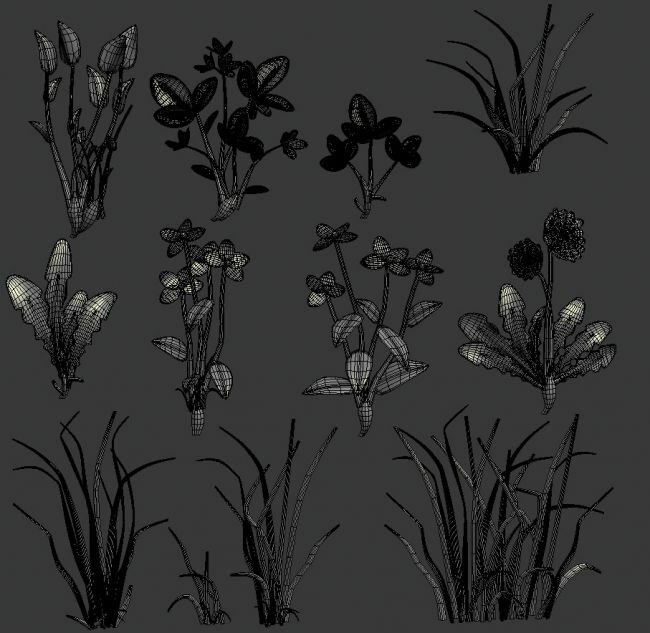 Then create simple models for each flower / grass cluster etc (like in the example) and apply png textures you have rendered on them. Not the answer you're looking for? Browse other questions tagged modeling texturing or ask your own question. Create a low poly mesh with high detailed textures?